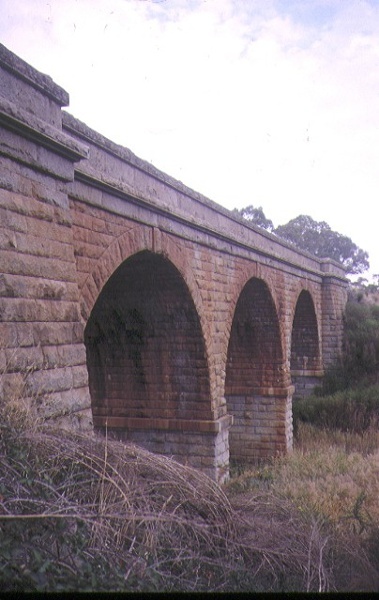 Railway Bridge, Barker's Creek, near Harcourt, is a substantial bridge constructed of Harcourt granite in 1859 on the Melbourne Bendigo railway. In three main spans of some 41 feet each, the structure is characterised by its deep arches and substantial abutments. Rusticated masonry faces the bridge and other features are the parapet string courses, voussoirs, impost moulding and the battering of the abutments. 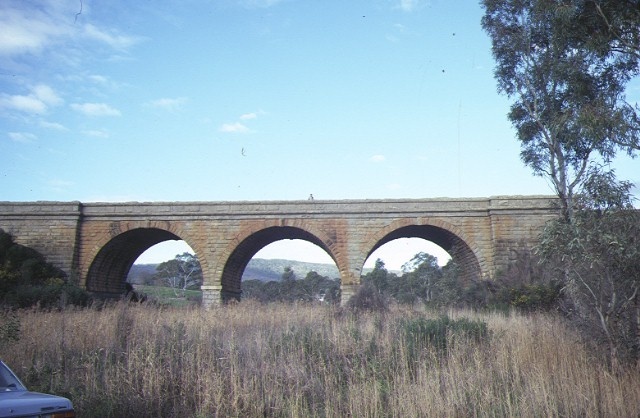 The Railway Bridge, Barker's Creek, near Harcourt, is a fairly typical example of a substantial railway bridge of the period. 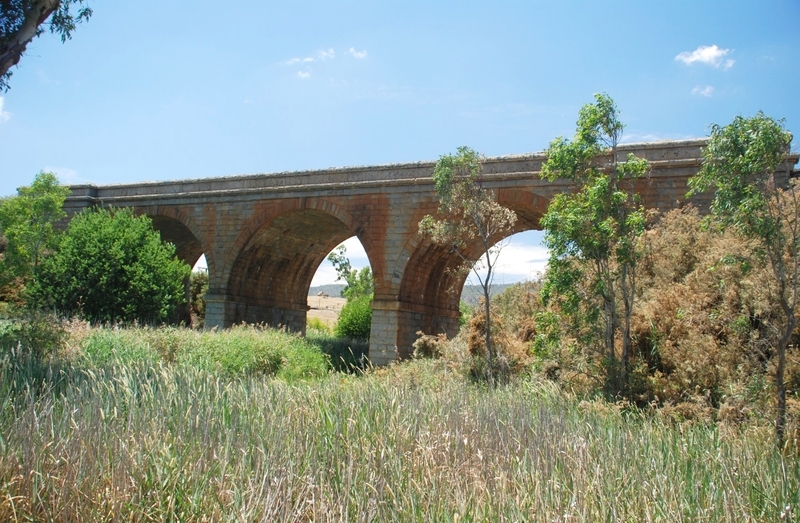 The Barker's Creek Bridge is of interest in that it is faced in the locally quarried Harcourt granite, a stone not widely used in Victoria. Other details of note are the unusually deep arches sitting on squat piers. Stylistically, the structure follows classically derived vernacular engineering practice. The Railway Bridge is in good condition and is intact. 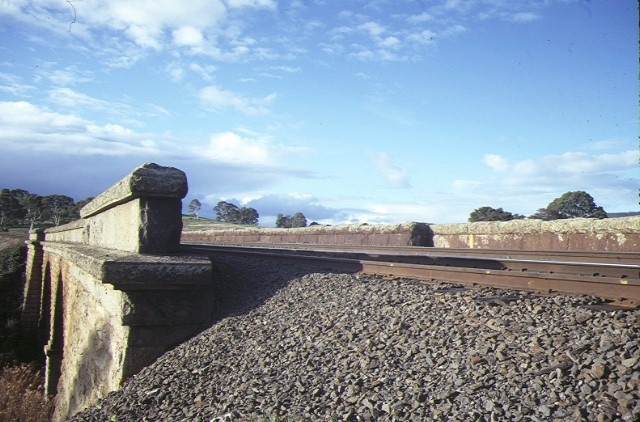 Railway Bridge over Barkers Creek near Harcourt.